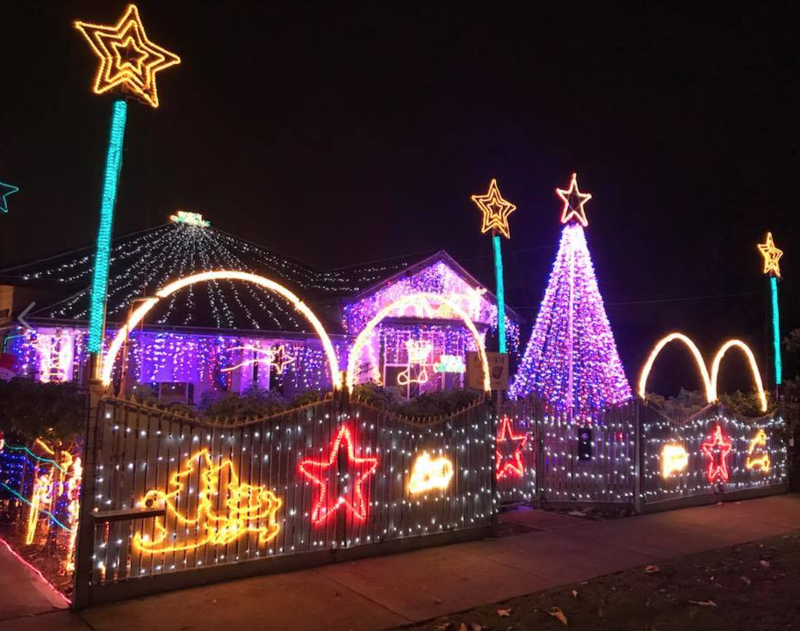 With an approximation of 40,000 lights strung across this house in Melbourne, Australia, it might be the best light show in the entire country. Everyone loves a rock and roll themed Christmas spectacular and this place certainly hits the nail on the head. This would also make a great introduction the iconic rock band, Queen, for any kid! Are the people inside Christmas obsessed or die-hard Queen fans? Or both? The YouTube channel from which the video was uploaded is The Chatzys- whoever they are, they are awesome humans! “We Will Rock You,” booms on the stereo as the lights pulse along to the sound of the music. This is the stuff of rock shows. If the music doesn’t melt your face- the light show will. The beginning of the light show almost has you thinking the house is shooting fire balls into the air. ‘Tis just lights, but the synchronization certainly gets the vibe of “We Will Rock You” just right. 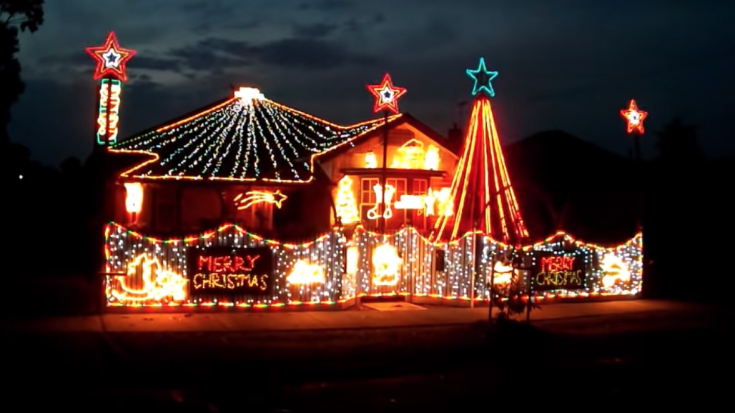 The Chatzys uploaded their recorded light show back in 2012 but have an annual song they go off of, once it was “Hallelujah” and another time it was the “Can-Can.” This is a real-life Griswald family Christmas moment we all deserve. They flip the lights on every day in December to keep the Melbourne spirits alive during Christmas time. According to their Facebook page (Melbourne Christmas Lights), they have replaced their old Christmas tree with 24 strands of RGB pixel lights and it looks spectacular. Hurry up Christmas!